This week we welcomed Cole Dicken and Tyrell Maharaj for their 1 month scholarship generously sponsored by The Childwick Trust. 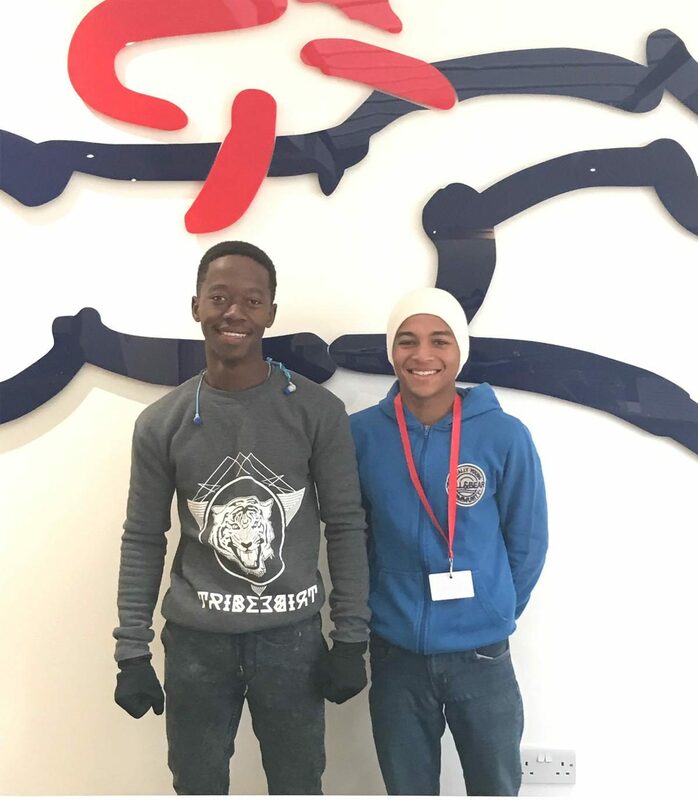 Both Cole and Tyrell, 21 and 19 respectively, are currently at the South African Jockey Academy (SAJA) in Durban and are the lucky winners of the selection process. The aim of the month long stay is to give them the opportunity to experience horseracing in the UK, learn as much as they can and also spend time working for a Newmarket based trainer. Their time begins with the 1 week Overseas Apprentice course where they join other Apprentices from Germany and Denmark. This is an intensive weeks training led by our Senior Jockey Coach Richard Perham but also includes sessions by Jon Pitts on Rider Performance, Julia Scott Douglas on Nutrition and not forgetting the infamous fitness assessment with Yariv Kam. As well as riding and coaching in the saddle, Cole and Tyrell will also be given the opportunity to learn more about British Racing with visits to National Stud, Palace House and the Breeze-up sales. We’d like to take this opportunity to thank The Childwick Trust on behalf of Cole and Tyrell for this wonderful opportunity.